As much as restaurants can come and go, it is rather interesting to see Chinese restaurants change names and/or change ownership seemingly overnight. They just keep on truckin' along without any closure of any sort. 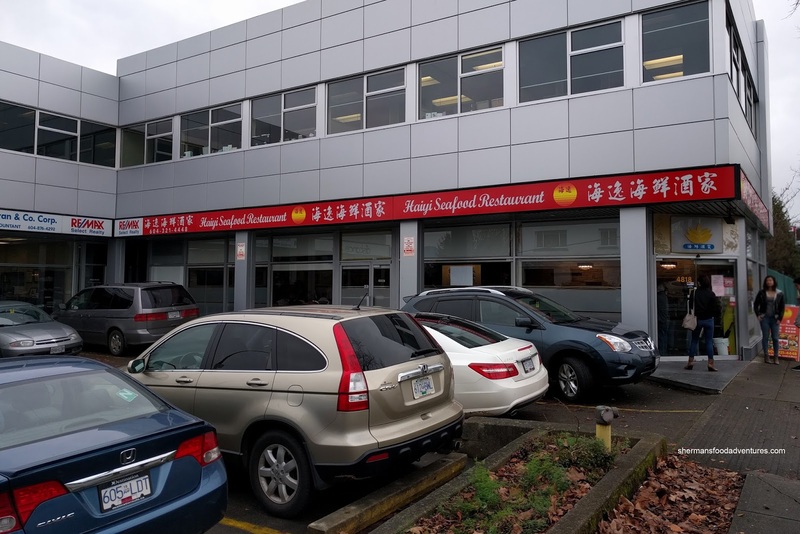 Sometimes the name change might have to do with tax implications (or in the case of Golden Pizza & Sandwich, they didn't change the name even though it is a Vietnamese restaurant!). Well, I'm not sure what happened to Golden Harvest Chinese on Main Street though. 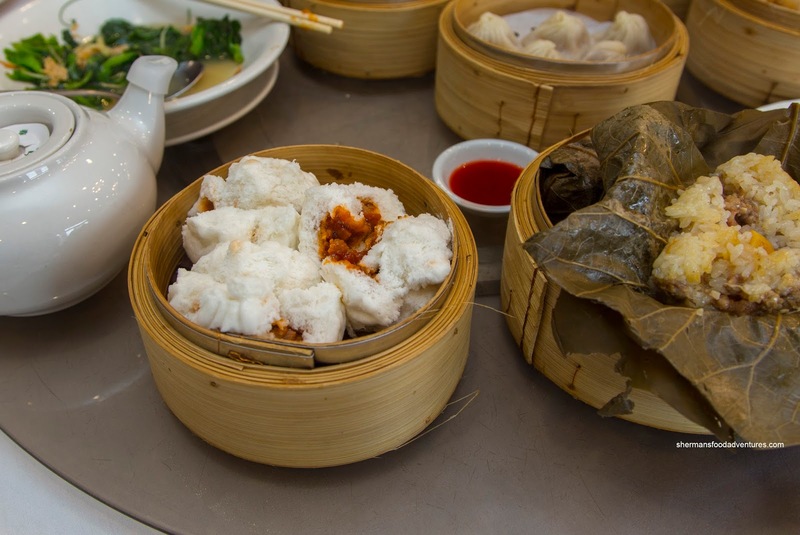 It suddenly became Haiyi Seafood without only minor renovations. Well, we checked it out to see for ourselves. 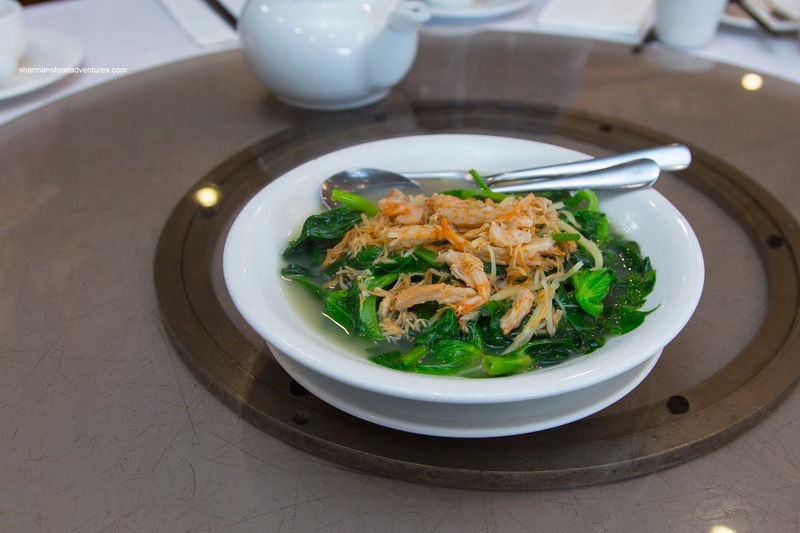 The first dish to hit the lazy Susan was the Pea Shoots. As evidenced in the picture, there was a plethora of large dried shrimp and dried scallop which meant the entire dish was briny and well-flavoured. The ginger was also apparent. However, the pea shoots could've been cooked a bit less. 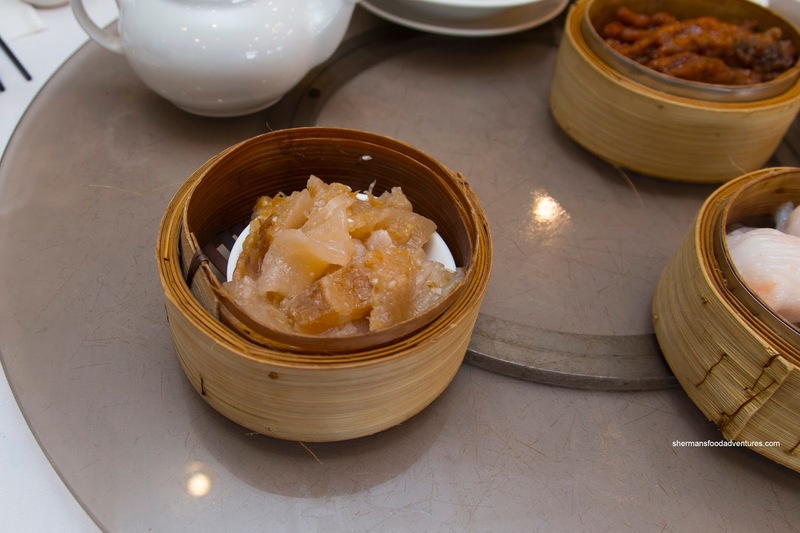 Next was a dish not typically found at most Dim Sum services in the Steamed Fish Lips. These had a dried fish maw quality where they were soft and gelatinous with a slight chewiness. There was plenty of garlic and seasoning for penetrating flavours but the dish was also rather fishy tasting too. 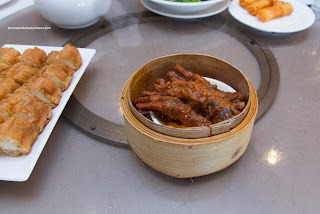 Onto more typical items, we had the Steamed Black Bean Spareribs and Phoenix Talons (Chicken Feet). Large in portion size and large in individual pieces, the pork spareribs were chewy and bouncy. They were garlicky with some green pepper essence as well as aggressively seasoned. 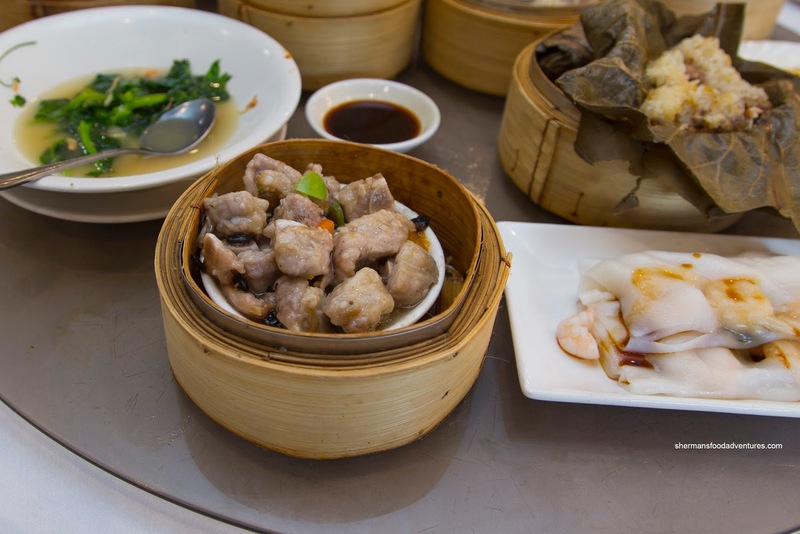 Most pieces were rib portions that were meaty and devoid of fat and cartilage. 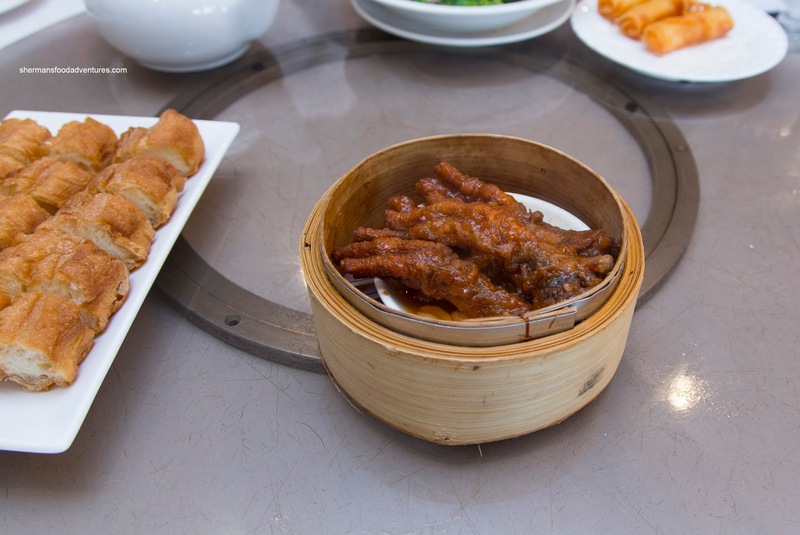 As for the chicken feet, they were soft and completely over done. Underneath the fried skin, the cartilage was melting away, albeit it was quite buttery. Flavours were good though with a balance between sweet, salty and a garlic. 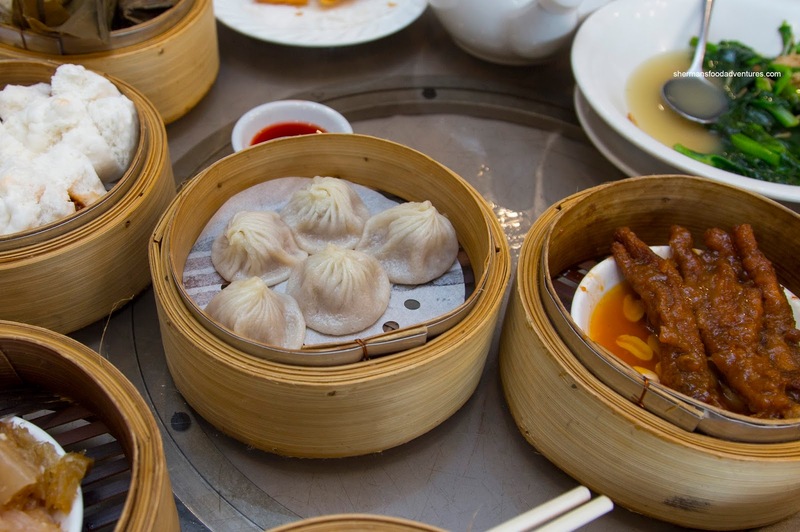 Lately, we've been taking chances at Cantonese Dim Sum and ordering Xiao Long Bao since many places have stepped up their game. 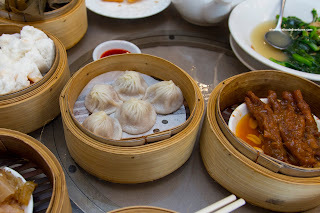 This was no different as the XLBs were decent featuring a thin dumpling skin as well as a good amount of sweet soup. It was one-note in flavour though missing ginger and wine. The meat could've been less gritty as well. Here we go again with the black truffle on top of Siu Mai. 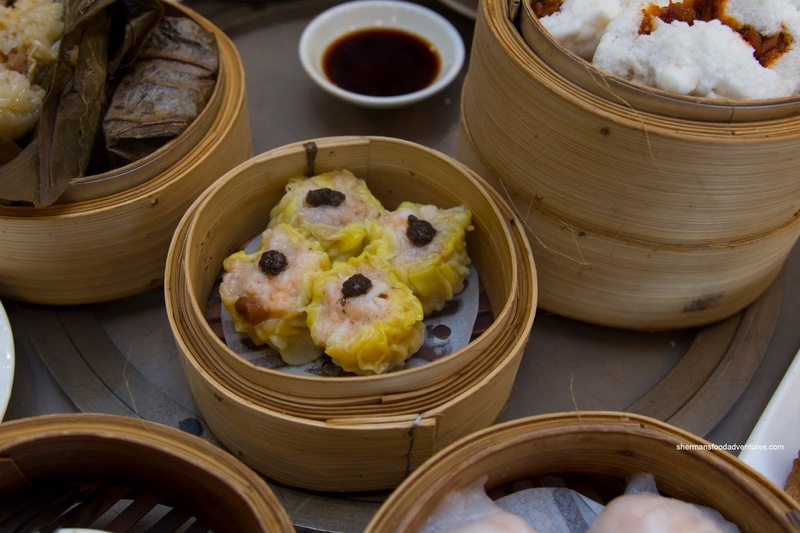 Everyone is trying to be like Chef Tony... Well, this one here sported bouncy pork and sweet shrimp that exhibited a buttery snap. As much as I think the black truffle thing has been overdone these days, there wasn't an overwhelming amount used in this case. Of course we couldn't have siu mai and not have Ha Gau right? Well, these featured a paper thin dumpling skin that was nicely chewy with just the right amount of moisture. 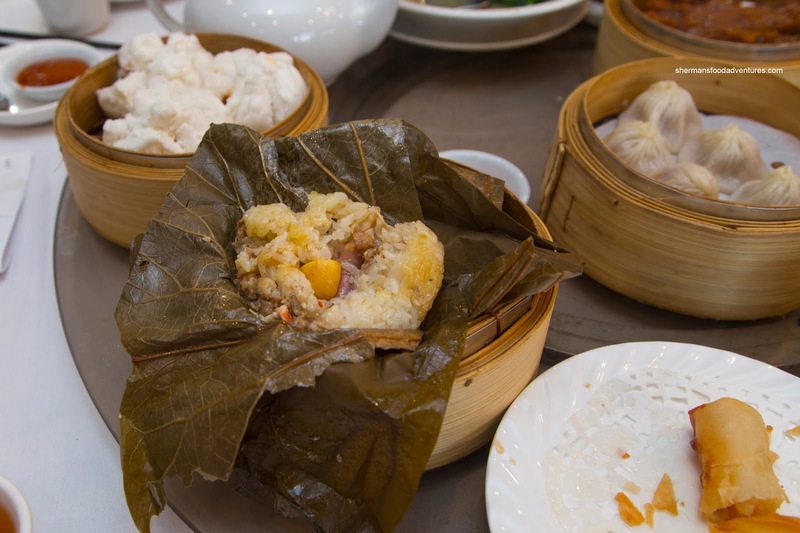 On the other hand, the shrimp filling was a bit too soft for my liking. There was only the mildest amount of bounce texture while the flavours were sweet. 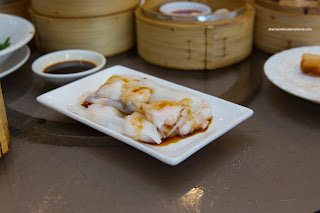 Interestingly, the shrimp in the Rice Noodle Roll was considerably different in texture where they were had a meaty snap. This could be due to them being whole shrimp rather than being processed. As for the rice noodle, it was on the thicker side, but was still buttery with a floury finish. 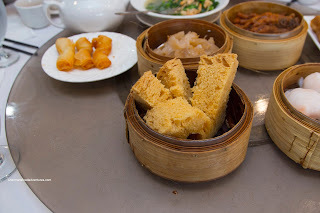 For the kiddies, they always request the Lo Mei Gai (Sticky Rice), so being the servants, er... parents, we always order it. We found it rather wet, yet still glutinous with mild flavours. Strangely, they put imitation crab meat in the ground pork mix and it really didn't work. The fishy and salty essence was strange tasting. Too bad really since there was an even ratio of sticky rice and meat filling. Large and fluffy, the BBQ Pork Buns were on point. They were stuffed with lots of lean BBQ pork that were sauced in a sweet and savoury glaze. Even after sitting for awhile, the bun portion didn't harden up too much remaining soft and light. 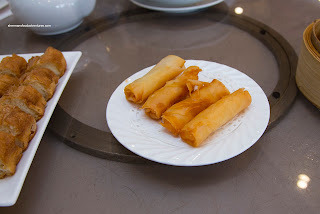 Again, we couldn't do without the Shrimp Spring Rolls as my son would blow a gasket otherwise. Yes, those spring rolls mean that much to him... Well, these were pretty good being served hot and crunchy. There was very little greasiness, even on the inside. 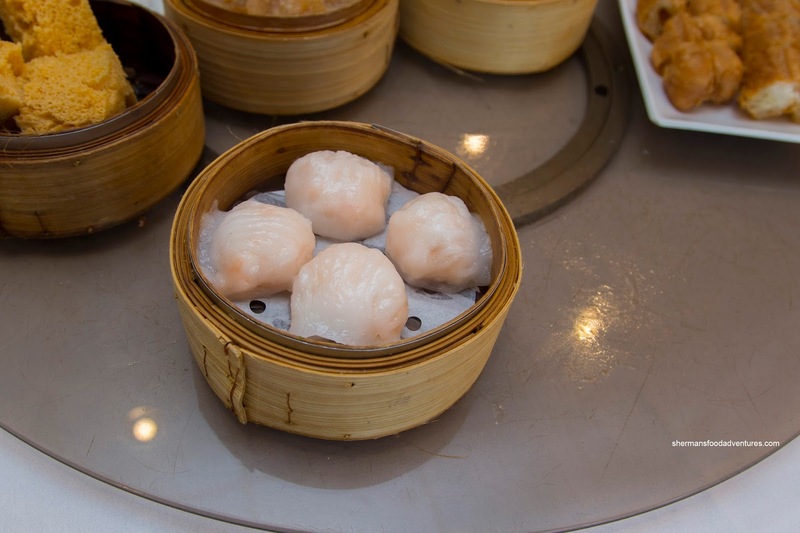 The shrimp filling was similar to the shrimp dumplings as it was on the softer side. It was well-seasoned though. As if fried spring rolls weren't enough, we got the Chinese Salty Donut as well. My son loves this dish as well (does he eat anything that is healthy?). This was pretty aggressively fried where the outside was super crunchy. Inside, it was a touch dense, but not overly oily either. To ensure that we were completely full, we added the Special House Chow Mein that featured so many ingredients, we could barely make out there were noodles underneath. 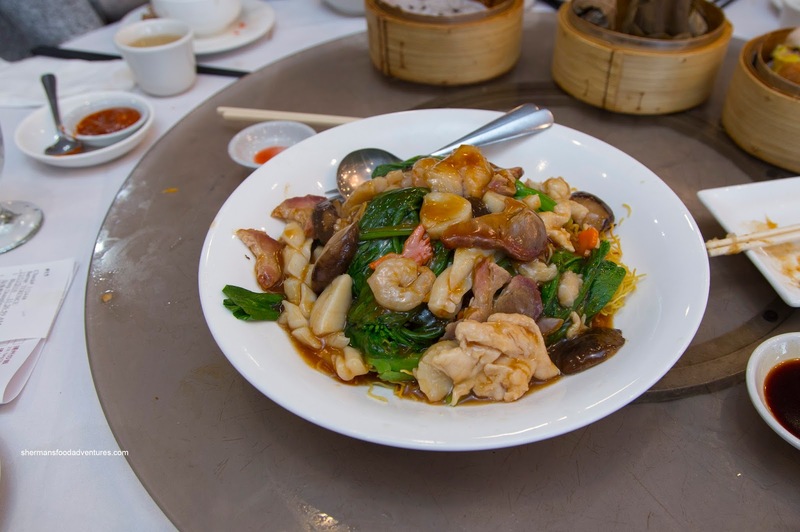 All of the proteins were cooked properly with crunchy shrimp and tender chicken. Even the greens were not overdone. There was just enough mild-tasting sauce to soften the fried noodles while leaving a few portions crispy. 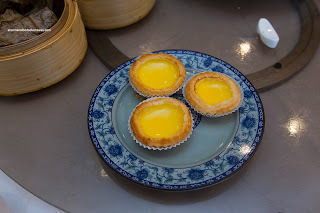 For dessert, we had both the Steamed Sponge Cake and the Egg Tarts. As you can see, they cut the sponge cake into quarters which would've been fine if we ate it right away, but we didn't (they just cut it up without asking). I decided to grab a small piece to try when it was still hot and it was fluffy and minimally sweet. Served last, the egg tarts were flaky and buttery. The egg custard was silky and pretty sweet though. We thought these were pretty on point. In fact, most dishes were alright and even if there was an issue, it wasn't major. 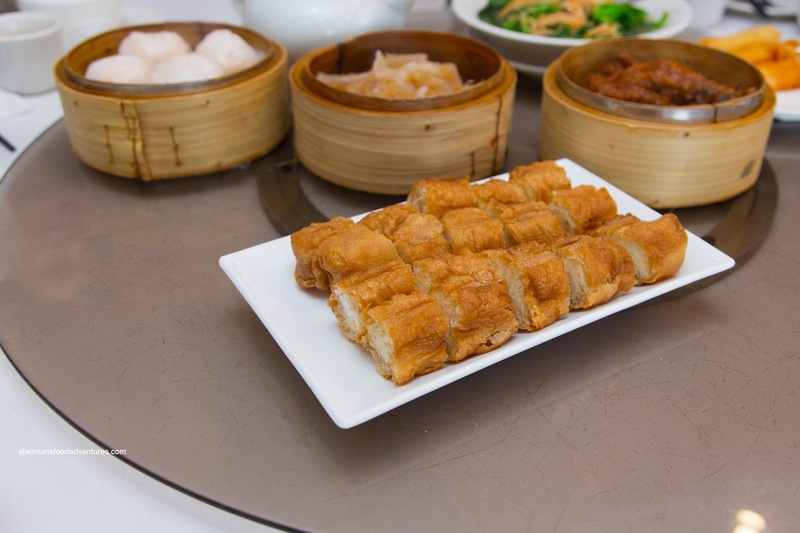 In general, Haiyi is a decent choice, but there is better in the same price range too.